Antioxidant Day Cream. Concentrated in antioxidants which contribute to prevent damage from free radicals. 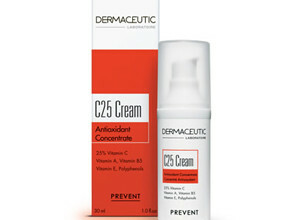 C25 Cream is recommended for improving the appearance of irregular complexion and loss of radiance.